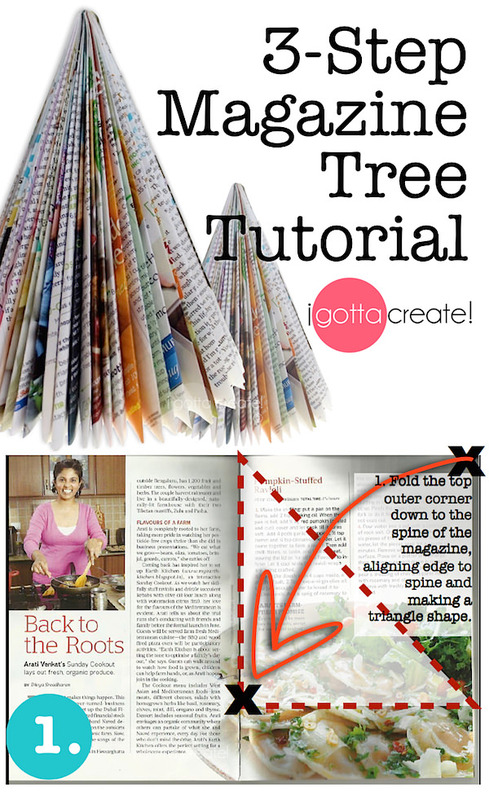 Step 1: fold the top outer corner of the magazine page down to the spine of the magazine, aligning the top edge of the magazine page to the spine (creating a triangle), and crease fold with your bone folder. 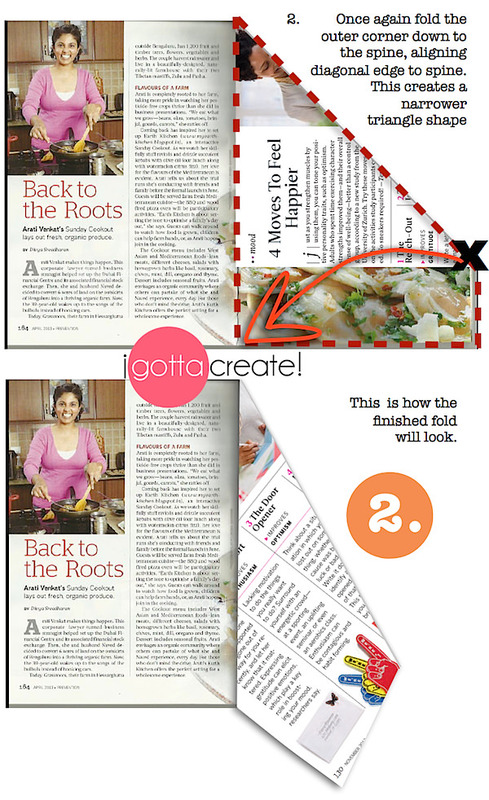 Step 2: fold again to make a narrower triangle by bringing the diagonal edge of your page in alignment with the magazine spine. Crease with your bone folder. 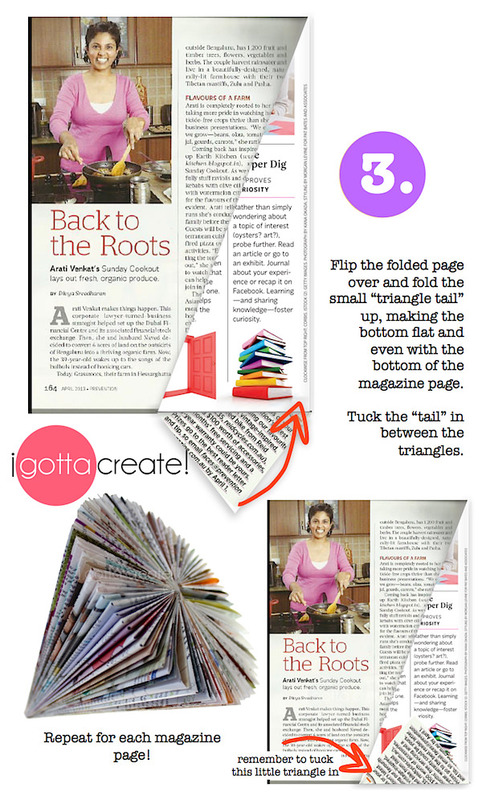 Step 3: flip your page over and grab that little triangle tail and bring it up flush with the bottom of the magazine page. Crease and tuck it into the "pocket" created by your double-folded triangle. Repeat for each page of the magazine! 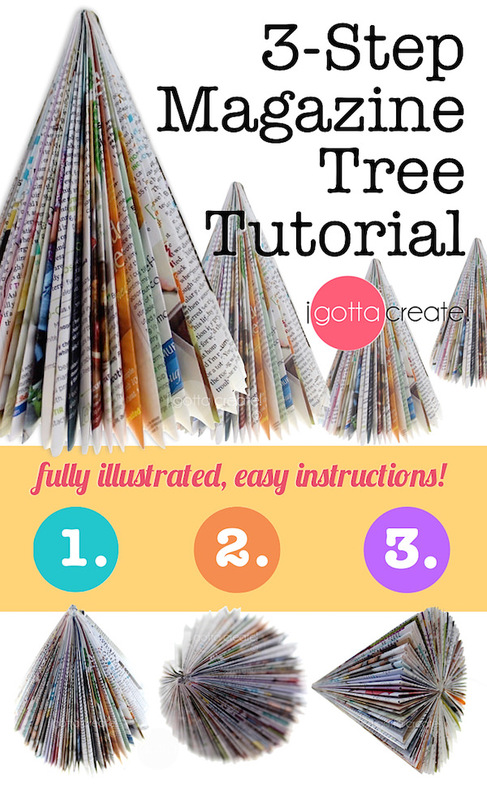 Do Step 1 for every page in the magazine, then go through and do Step 2 for each page in the magazine, then finish up with Step 3. This makes it super easy to do while you're watching a movie! 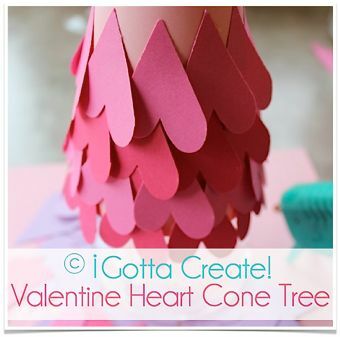 Make a Valentine Heart Cone Tree!